Iranian nuclear negotiator Abbas Araghchi said on Tuesday he was “very hopeful” that an accord on Tehran’s nuclear programme could be reached with world powers ahead of the June 30th deadline. “Different elements inside and outside of the negotiation chamber can prevent a deal but despite all of this, we will continue the negotiations and we are very hopeful that we can reach a deal before the deadline,” he said at the start of a new round of talks in Vienna. 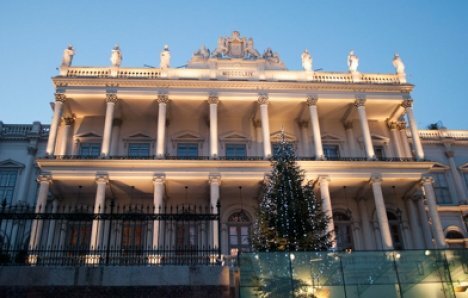 Negotiators in the Austrian capital were trying to reach a “single agreed text” and resolve any outstanding issues, he added. Araghchi, who is Iran’s deputy foreign minister, and his colleague Majid Takht are meeting European Union negotiator Helga Schmid behind closed doors at the Palais Cobourg. Iran and the P5+1 powers — Britain, China, France, Russia and the United States plus Germany — want to turn a framework accord reached in Switzerland on April 2nd into a full agreement by the end of June. The deal is aimed at preventing Iran from developing nuclear weapons, in exchange for an easing of punishing economic sanctions imposed on Tehran since 2006. A US delegation led by Under Secretary of State Wendy Sherman is due to join the Vienna talks on Wednesday. Political leaders of the remaining world powers involved in the negotiations will follow on Friday. However, negotiations have been rendered more difficult after the US Senate passed legislation on May 8th giving Congress the right to review and perhaps even reject any nuclear deal between world powers and Iran. Iranian officials said the vote was part of a “psychological war” against Tehran’s negotiators.